A series of studies have shown that a very low fat, mostly whole foods vegan diet can lower body weight, reduce blood sugar, and improve other parameters for type 2 diabetes. A cross-sectional study of the Adventist Health Study-2 population showed vegans to have a 68% lower rate of diabetes than non-vegetarians. Researchers affiliated with the Physicians Committee for Responsible Medicine (PCRM) have conducted a number of studies in which they measured the effects of a whole foods vegan diet on diabetes, body weight, blood lipids and glucose tolerance. The first was a pilot study of only 12 weeks and 11 participants, published in 1999.1 The study participants all had type 2 diabetes. The study put some of them on a (very) low fat vegan diet. They could not eat added oils, sugars, or refined carbohydrates such as white bread or pasta. The diet was designed to have less than 10% of calories as fat. The control diet was designed to be less than 30% of calories as fat, and prohibited red meat but substituted fish and poultry. There was no limit on calories or portion sizes of either diet. Despite not being required to limit calories, the vegan diet participants did reduce calories and lost weight. They also reduced fat and saturated fat, and their cholesterol and triglyceride levels went down. The vegan dieters increased carbohydrates and fiber. Despite increasing carbohydrates, their fasting blood sugar levels went down, and their HbA1c (a measure of how much sugar has been in your blood over the previous three to four months) also went down. The differences in medical outcomes between groups were that vegan dieters lost more weight and reduced blood sugar levels further. Many of the vegan dieters reduced or eliminated medications, while only one of the control dieters was able to. See Table 1 for more details. sbStatistically significant effect between diet groups. In 2004, the researchers started a longer study (74 weeks) with more participants (99 people). This time, they compared a vegan diet to an American Diabetes Association recommended diet for people with type 2 diabetes. In this study, the vegan diet was once again a very low fat diet; less than 10% of calories. Vegan dieters were asked to avoid fatty foods, added oils, fried products, avocados, nuts, and seeds. This time, instead of avoiding all refined grains, they were merely asked to favor low glycemic index foods (see Table 4 for an explanation of the glycemic index). The control group was put on an American Diabetes Diet (ADA) of 15 – 20% protein, < 7% saturated fat, 60 – 70% carbohydrate and monounsaturated fats, and < 200 mg/day of cholesterol. The diets were individualized, based on body weight and plasma lipids. Those with a BMI > 25 kg/m2 (all but three) were prescribed energy deficits of 500 – 1,000 kcal. Among participants in the vegan group with no changes to diabetes medications, HbA1c had fallen 1.23 at 22 wk and 0.82 by 74 wk. Among medication-stable participants in the conventional diet group, the HbA1c reduction was 0.38 at 22 wk, and 0.21 at 74 wk. The only statistically significant differences between diet groups for medical outcomes was that vegan dieters lost more weight than did the ADA diet group. See Table 2 for more details. aMany subjects were on lipid-lowering medications and adjusted them during the study. swStatistically significant effect within diet groups, from baseline to 22 weeks. At week 22, 67% of the vegans were adhering to the diet. By week 74, it was down to 51%. This drop in adherence was probably influence by the change in the program from weekly meetings for diet and cooking instruction, to bi-weekly optional meetings for weeks 23 to 74 . In 2005, PCRM researchers published results from a study performed on postmenopausal women who were overweight or obese, but did not have type 2 diabetes.6 This study put half the women on a very low fat vegan diet of less than 10% calories as fat and no oils, avocados, olives, nuts, nut butters or seeds. No mention was made of refined carbohydrates or high glycemic foods. This diet was compared to a National Cholesterol Education Program (NCEP) Step II Guidelines diet, which was less than 30% fat, less than 7% saturated fat, protein about 15% of calories, and less than 200 mg/day of cholesterol. After 14 weeks on the vegan diet, fasting glucose decreased and insulin sensitivity increased. The NCEP Step II diet did not result in such changes. Table 3 includes more results from this study. Table 3. 2005 PCRM Study on Postmenopausal, Overweight Women. swStatistically significant effect within diet groups, from baseline to 14 weeks. In total, these studies suggest that a very low-fat, primarily whole foods vegan diet is an appropriate diet for people with type 2 diabetes, and as effective as an American Diabetes Association diet. I want to emphasize the primarily whole foods aspect of this diet. If someone is eating a vegan diet with a lot of refined grains and sugars (including breads, white rice, and juices) they might not realize many of these benefits. Measurement of how quickly glucose from a specific, solitary food is released into the blood. Measurement of how much glucose from a specific, solitary food is released into the blood over the course of a certain amount of time (e.g., two hours). Measurement of how much insulin is released into the blood over a certain amount of time, in response to eating a specific food. Glycemic index is of little use for preventing or treating chronic disease, as foods with very little sugar can have high glycemic indexes. Presumably, the researchers from the PCRM studies picked such a low fat vegan diet, without nuts or avocados, because they wanted to guarantee weight loss and cholesterol improvements. However, most of the research on nuts has suggested at least moderate amounts are beneficial to heart disease and weight loss.9 It seems safe to eat moderate amounts of nuts if you have type 2 diabetes, such as 1 – 2 oz per day. A 2009 study of people with type 2 diabetes showed that 30 g of walnuts per day resulted in a greater reduction in insulin levels13. There has not been much research on avocados and their effects on diabetes or weight loss. I would suspect that small amounts, about 1/4 an avocado per day, would be beneficial both for heart disease and weight loss. A half a cup of cubed avocados has 120 calories and 5 grams of fiber which is a reasonable amount. I have concerns about the long-term effects of a diet with less than 10% of calories from fat. Fat is important for cell membranes, nerve tissue, and aids in digestion of fat-soluble vitamins. And, of course, omega-3 fats are important. The average vegan-on-the-street eats about 27-29%10 of their calories from fat. That much is probably not necessary, but over the long-term, I personally wouldn’t go on a diet of less than 20% fat even if I had diabetes or heart disease. That doesn’t mean you have to get your fat from French fries – whole nuts, avocados, and even small amounts of olive and canola oil are probably fine, even for people with heart disease. A 1999 report of the results of the original Adventist Health Study showed vegetarians to have about half the risk of diabetes as non-vegetarians.11 This was a 6 year prospective study and vegans were not separated from the lacto-ovo vegetarians. I have long suspected that vegans have lower rates of diabetes, due to the report from the Adventist Health Study and the fact that vegans generally have lower BMI’s than other diet groups. Even with a diet of about 27-29% fat, vegans have lower cholesterol and triglyceride levels, body weight, and blood pressure than non-vegans; see Disease Markers. In April 2009, the first study measuring the type 2 diabetes rates of vegans was released. It was a cross-sectional study and found vegans to have the lowest rates of type 2 diabetes of any diet group.12 Results are in Table 5. Table 5. Cross-sectional Type 2 Diabetes rates in Adventist Health Study-2. bAte meat more than once a month but less than once a week. cAdjusted for age, gender, race, activity, education, TV watching, sleep, alcohol, and BMI. dAdjusted for all factors above except BMI. Vegans had a 68% lower risk of type 2 diabetes than did non-vegetarians! One word of caution: This is only a cross-sectional study. The results could mean that a vegan diet prevents diabetes, or it could mean that people with type 2 diabetes are less likely to adopt a vegan diet – or a combination of both. It does, however, mean that vegans have lower rates of type 2 diabetes and at an impressive amount – the statistical significance is about as high as I ever see in a study of diet. Adjusting for BMI diminished the difference between vegans and non-vegetarians to some extent. This should be expected as a high BMI is a risk for type 2 diabetes. However, a lower BMI is likely caused by a vegan diet, so this should not take anything away from the idea that the diet caused the difference. A whole foods vegan diet is safe for people who have type 2 diabetes and is as beneficial, if not moreso, than a typical ADA diet. Vegans have lower rates of type 2 diabetes than non-vegetarians. Note that the participants in the PCRM studies were provided with vitamin B12 supplements. All vegans should follow the daily recommendations listed in Staying Healthy on Plant-Based Diets. 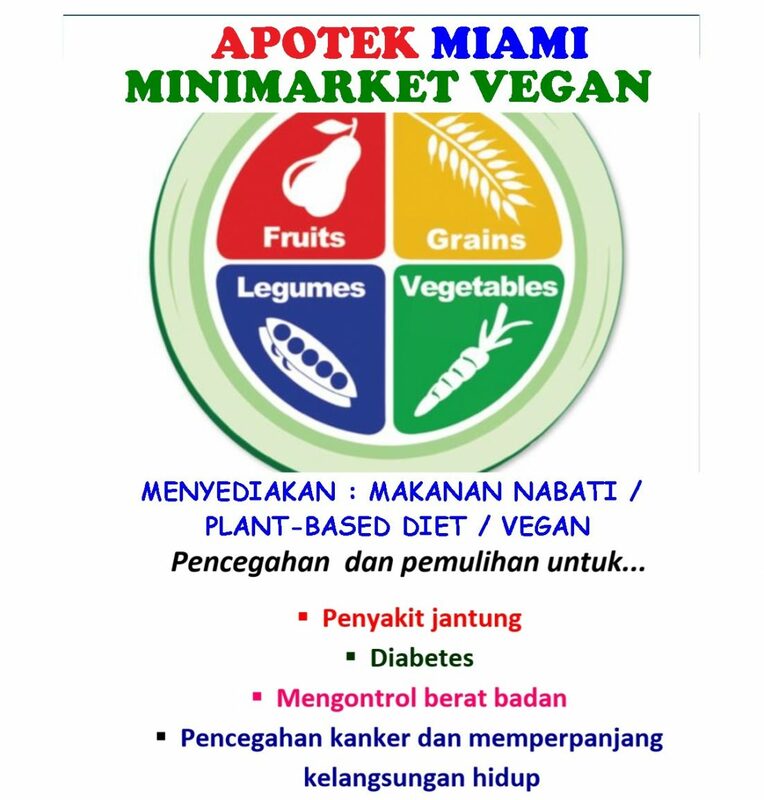 Categories: Diabetes tipe 2 dan Vegan Diet | Tags: Diabetes tipe 2 dan Vegan Diet | Permalink.